Time for a crash course in family fun! Bumper-to-bumper traffic never been this fun – or bumpy! 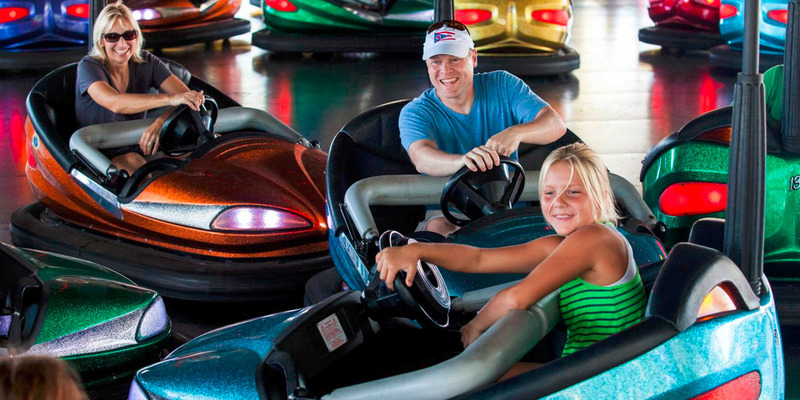 Grab all your friends and family for fantastic fun on our Wheeler Dealer classic bumper car ride. After choosing a car and strapping in, there’s no telling what will happen! Prepare to outrun your favorite frenemy and take the chance on getting spun out. Or, swerve, whip, bump and crash cars with anyone and everyone to your heart’s wild desire. But make sure to watch out for that guy behind you; he’s got a wild look in his eye! The thrills and zany adventures that only bumper cars can deliver have been at Knott’s Berry Farm since way back in the 1970s but the pure joy and adrenaline of bashing and bumping the competition all the way into next week has never grown old.